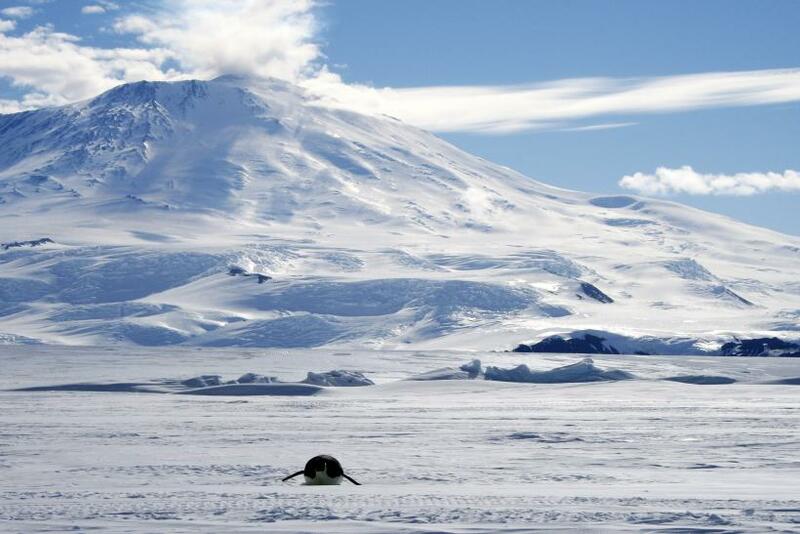 A volcano has been detected more than a half-mile below the ice sheet in West Antarctica, and it may be building up steam for a massive eruption, raising concerns about an increased rate of ice loss in the region. The discovery was made when a team of scientists, who were working in the Marie Byrd Land area in western Antarctica to weigh the ice sheet to reconstruct the continent’s climate history, detected a set of low-magnitude earthquakes between January 2010 and March 2011. After closely examining potential causes of the seismic events, the scientists found that a new volcano was forming beneath the ice. Scientists tried to locate the hypocenters of the events and found that they occurred at depths of 15 miles to 25 miles below the surface, close to the boundary between the earth's crust and mantle, which helped scientists rule out glacial processes or tectonic activities as potential causes of the tremors. The seismologists also examined topographic maps of the Antarctic bedrock and found elevations in the bed topography at the same location as the seismic events. Radar imaging also revealed a layer of ash buried under the ice, believed to be from an eruption of Mount Waesche about 8,000 years ago, according to the study, published online on Sunday in Nature Geoscience. Although the case for volcanic origin had been made, what was causing the seismic activity was still a mystery. According to scientists, the new volcano will erupt in future, and as the radar images showed a mountain beneath the ice, they believe it must have erupted in the past as well. Scientists said that future eruptions could be powerful enough to breach the ice above the volcano, and such an eruption would release a thousand times more energy than a typical eruption. Meanwhile, scientists are also worried about the amount of ice melt that could be triggered by such an eruption and the accompanying heat flow. "The volcano will create millions of gallons of water beneath the ice—many lakes full. This water will rush beneath the ice towards the sea and feed into the hydrological catchment of the MacAyeal Ice Stream, one of several major ice streams draining ice from Marie Byrd Land into the Ross Ice Shelf,” Wiens said. Is The Antarctic Ozone Hole Healing?